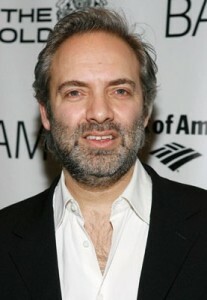 Sam Mendes to direct new Bond movie? One thing I hate about Hollywood is its insistence on rehashing the same old tired properties in the hope that the core audience who used to flock to the theaters to see it will still be there. They also hope that rehashing an established property will pull in a new generation of fans who will drool over the battle-hardened characters of these properties much like their parents did. A case in point is the James Bond series. The James Bond movies is now more than twenty movies old and it’s still the same old grizzled character that Hollywood is trying to milk. Okay, I think the “reboot” of the character with Casino Royale seems a little inspired but really, aside from the more chiseled body of Daniel Craig, we’ve seen it all before, right? What the James Bond franchise really needs is a change in vision. And if there’s any kind of left-field kind of change happening to the franchise it would be the news that Sam Mendes is in negotiations to direct the next Bond sequel. The director, who made a mark with American Beauty, and followed it with such works as Road to Perdition and Revolutionary Road, is an intriguing choice. Although Mendes directed Jarhead, he hasn’t really made an action movie. I, for one, will eagerly anticipate this new Bond installment if Mendes does get to direct it — the first time I’m actually excited about a Bond movie.